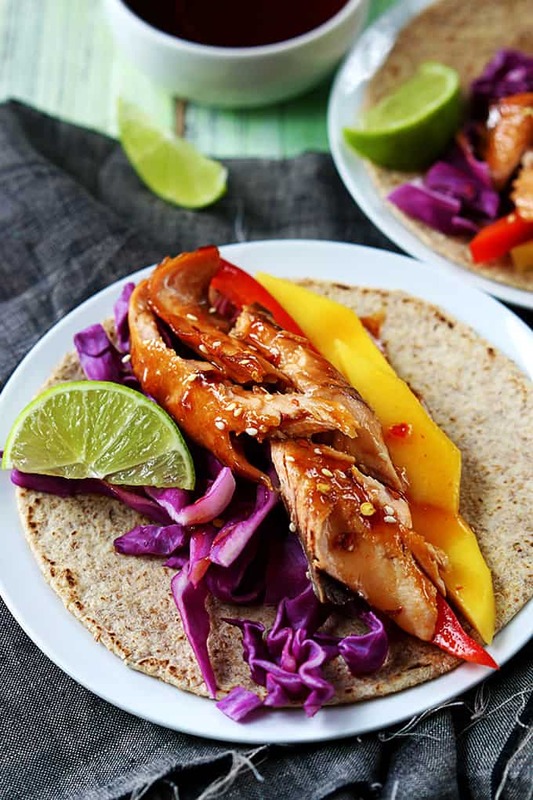 Incredibly flavorful sweet and spicy Thai salmon tacos! 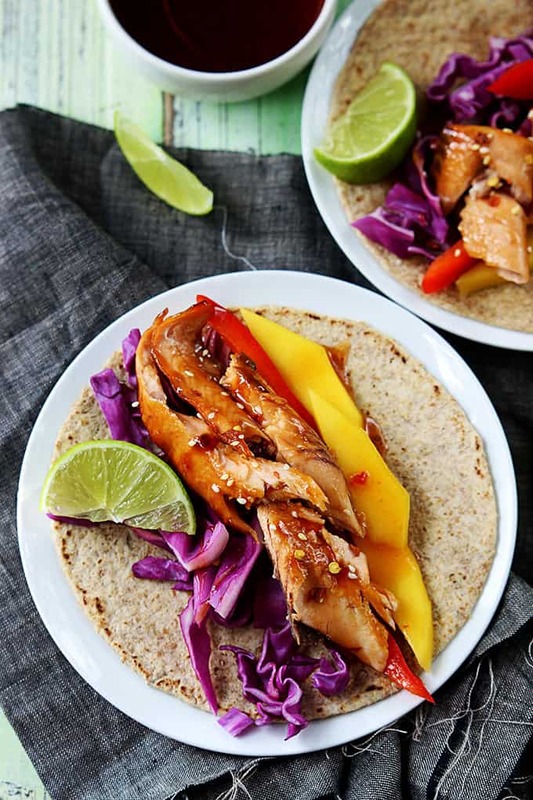 A quick and healthy 30 minute dinner that will delight salmon lovers! My brother lived up in Alaska for 2 years. He actually moved back home just 24 hours before my husband and I were married. Talk about cutting it close eh? But we planned it that way. After two years of not seeing my brother, I had two matter of business to take care of with him. After a huge hug, I asked the big question: The salmon. How was the famous Alaskan salmon?!?! His answer didn’t disappoint. Said it was the best salmon he’d ever tasted. And he had A LOT of it. I’ve been jealous ever since and if I ever get a chance to take a little jaunt up to Alaska, you better believe I’m eating salmon for breakfast, lunch, and dinner. And dessert. Do they make salmon ice cream?? Combine sweet chili sauce, soy sauce, garlic, cilantro, and (optional) ginger in a bowl and whisk til smooth and well mixed. Reserve half of the sauce and set it aside. 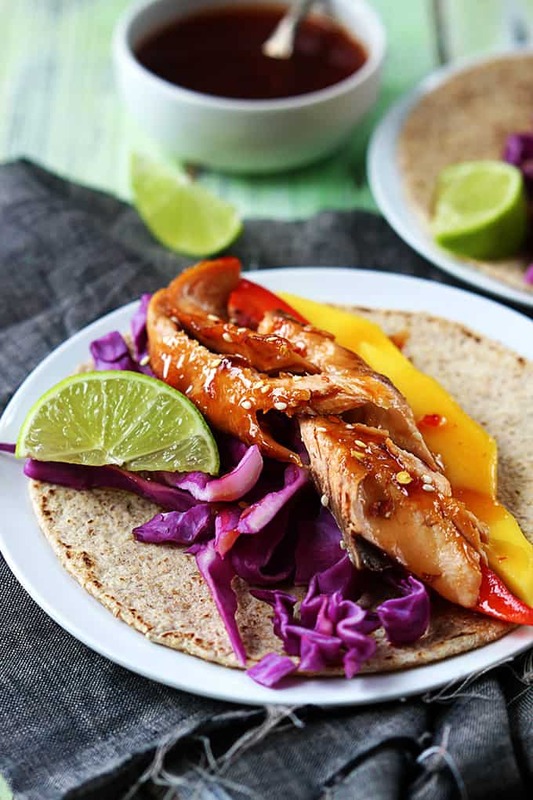 Cook the salmon either on a nonstick skillet for 4-6 minutes on each side, or in the oven turned to broil for the same amount of time. Cook until fillets are pink and easily flake with a fork. 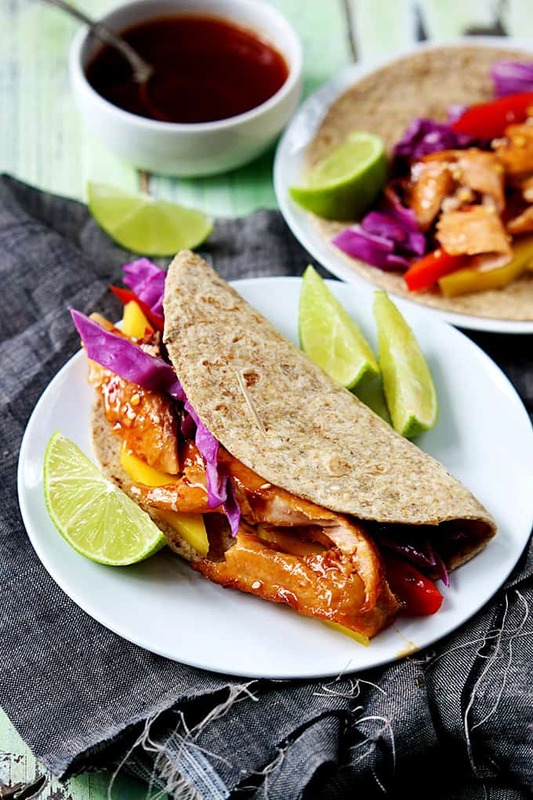 Assemble tacos with cabbage (or cole slaw), mango slices, salmon, and top with remaining reserved sauce and drizzle with fresh lime juice. Serve immediately. 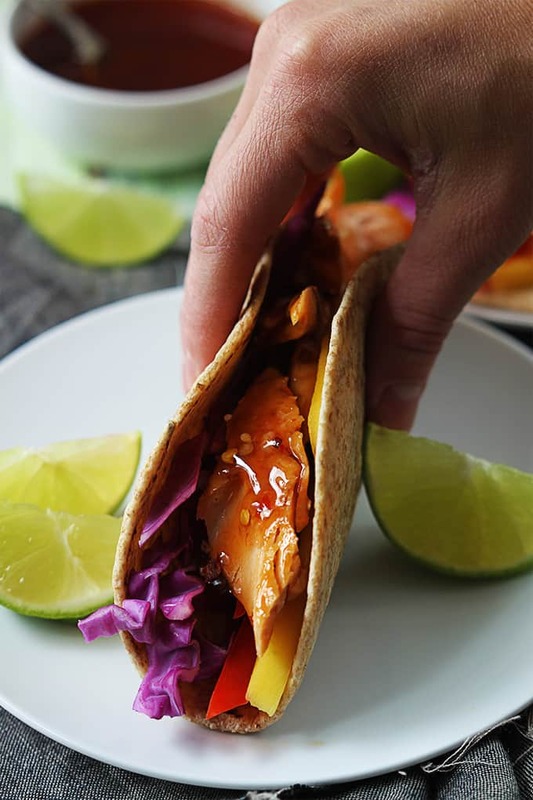 More Taco Recipes you'll love! Love these Tiffany! 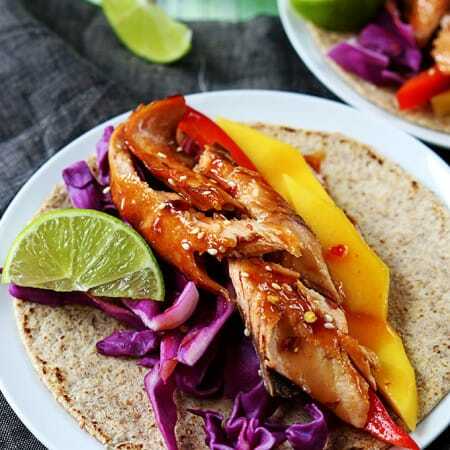 I love salmon and these tacos look fabulous!